One of Rubber Soul's most memorable songs, Michelle was written by Paul McCartney with a little help from the wife of an old schoolfriend. The song was one of McCartney's oldest, having been started in around 1959. He composed the tune on his first ever guitar, a Zenith, which he still owns. All my first songs... were written on the Zenith; songs like Michelle and I Saw Her Standing There. It was on this guitar that I learnt Twenty Flight Rock, the song that later got me into the group The Quarrymen. Michelle was one of McCartney's first attempts by McCartney to play with a fingerpicked guitar style, signalling a desire to experiment beyond the boundaries of rock 'n' roll. Michelle was a tune that I'd written in Chet Atkins' finger-pickin' style. There is a song he did called Trambone with a repetitive top line, and he played a bass line whilst playing a melody. This was an innovation for us; even though classical guitarists had played it, no rock 'n' roll guitarists had... Based on Atkins' Trambone, I wanted to write sosmething with a melody and a bass line on it, so I did. I just had it as an instrumental in C.
The French element, meanwhile, was inspired by parties held by Austin Mitchell – one of John Lennon's tutors at the Liverpool College of Art, and potentially the inspiration behind the song's title. Years later, John said, 'D'you remember that French thing you used to do at Mitchell's parties?' I said yes. He said, 'Well, that's a good tune. You should do something with that.' We were always looking for tunes, because we were making lots of albums by then and every album you did needed fourteen songs, and then there were singles in between, so you needed a lot of material. Ivan Vaughan, who introduced Lennon to McCartney in 1957, was still a friend to the group. Vaughan's wife Jan taught French, and when the pair visited McCartney at Jane Asher's family home in 1965, he asked for some help with the lyrics. I said, 'I like the name Michelle. Can you think of anything that rhymes with Michelle, in French?' And she said, 'Ma belle.' I said, 'What's that mean?' 'My beauty.' I said, 'That's good, a love song, great.' We just started talking, and I said, 'Well, those words go together well, what's French for that? Go together well.' 'Sont les mots qui vont très bien ensemble.' I said, 'All right, that would fit.' And she told me a bit how to pronounce it, so that was it. I got that off Jan, and years later I sent her a cheque around. I thought I better had because she's virtually a co-writer on that. From there I just pieced together the verses. Jan Vaughan wasn't the only contributor, though. John Lennon wrote the middle section, inspired by a 1965 Nina Simone hit. So... my contribution to Paul's songs was always to add a little bluesy edge to them. Otherwise, y'know, Michelle is a straight ballad, right? He provided a lightness, and optimism, while I would always go for the sadness, the discords, the bluesy notes. The Beatles recorded the rhythm track for Michelle in a single take, using all four available tracks on the Abbey Road tape machines. It has been suggested that McCartney may have performed most of the instruments alone thereafter. The initial recording took place between 2.30 and 7pm on 3 November 1965. From 7pm until 11.30pm The Beatles overdubbed extra guitars and their lead and harmony vocals. Because it was only on four little tracks, it was very easy to mix. There were no decisions to make, we'd made them all in the writing and in the recording. We would mix them, and it would take half an hour, maybe. Then it would go up on a shelf, in a quarter-inch tape box. And that was it. That was the only thing we ever did to Michelle. Michelle! Title song of the 1st girl I made love to! Everytime I hear this song, even now, my eyes tear up. I think there’s only a few groups, at time who’d even ‘dare’ to record a song like this. 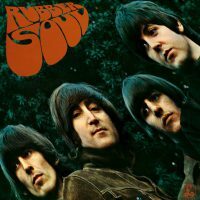 That’s why the album “Rubber Soul”, was pivotal in ‘The Beatles career. Yes, there would be more ballads but “Michelle” stands way ahead of the rest! Thank you John, Paul,George + Ringo! What a lovely memory for ‘all’ of my life, for all to love forever! Correction: Ivan Vaughan introduced John and Paul in 1957, not 1956. Just a lovely, lovely song… it was my mom’s favorite and always reminds me of her. Of course it was 1957 – I knew that! I’ve corrected it now. Thanks for pointing it out. it was one of the two song i fell in love with because i liked the names. still one of my fav girl names, the other one is Gina. Thanks Paul and thanks George for that pretty guitar part. I too was named after it…it was my mums favourite song at the time…she still calls me “Michelle..ma belle”..the year I was born 1967..it won a Grammy for song of the year! I was named after it as well in 1973!! I read somewhere that George Martin claimed to have composed the guitar solo. George Harrison was having trouble conceiving a decent sounding solo so George Martin came up with the line we hear today. This makes sense to me; the guitar solo is very thematic and sounds like a horn line. It’s unlike any other Harrison guitar part. I’ve read this as well. In the end, the solo is beautiful guitar work, despite whomever composed it. Perhaps some day you could provide this site with the source of this comment. sorry, I’m french so it’s a little annoying! Thanks for the clarification Annie. I won’t change the text, as it’s a quotation by Paul, but it’s useful to know! Being a bit of a pedant, I’ve often been struck that if the singer is struggling even to say “I love you” to this girl it’s a bit far-fetched that suddenly his French stretches to “sont des mots qui vont très bien ensemble”! Oh well, poetic licence! my mom used to sing this to me and replace michelle with chel. this is definitely my first beatles song, and i’m glad of that. In 2004 I had a premature baby girl — I was only 24 weeks pregnant and she was just a tiny little thing. I have always loved the name Michelle and so that’s what I named her. She passed away one week after she was born, and The Beatles’ “Michelle” will always be “her” song for me. It is hard for me to sing it without tears…but I love it. To play this song correctly on guitar, capo on the fifth fret. It’s how McCartney plays it. Notice the unique (and effective in its surprising unobtrusiveness) second chord of the verse: Bb7. It’s the dominant seventh; it contains D natural. If you listen closely, that note is there in the backing vocal ‘ooh.’ Against this chord, Paul’s lead vocal contains Db, suggesting Bb minor. It’s both major and minor! I wouldn’t look at that as actually making the chord different. I would look at the chord as what is being played/sung by the harmonies and the lead line as being simply a bluesy note s opposed to the expected major third. This sort of thing is always happening in blues where you can always choose to play or sing either the minor third or major third against the root of a chord (usually the tonic chord but possibly others as well). It is sort of the mystery of the blues, at least to me, how that actually sounds good. But it does. I suppose you could look at the chord as being every note being played/sung by anybody, but I prefer to think of the melody as more of a separate line on top of the harmony. Of course, there is a chord for when you have both the minor and major third at the same time, usually with the major third in the lower register. It is the dominant 7#9 chord. Most often used in jazz and in rock most well known to be used by Jimi Hendrix such as the Purple Haze and Foxy Lady sounding chord. Look-up ‘Step Inside Love’ – the song Paul wrote for Cilla Black’s tv show theme. It’s a bossa nova which he challenged himself to write and the chords are special. Well, funny you say that – he said from the future – I was playing a session years back and I heard from a musician close to Wings explain that it was a Denny Lane song, and he offered it to Paul in return to pay off some stonking tax bill. I also heard that Lane wasn’t at all happy when it went big. The tonal tension you get when you use minor thirds in a major key song is one of the most common expressions of the blues. It doesn’t work the other way around though; using a major third in a minor key song just sounds dissonant and “wrong”. It seems Paul forgot about John’s contribution. Many Years from Now should have been titled What’s Mine is Mine, What’s Yours is Mine. Oh well, at least Paul has the comfort of knowing that his groundbreaking Wings material has his name alone attached to it. Rachel, just try and keep your bias under control. What contribution excactly did he forget? The article says it was written by Paul alone in 59. He DOES mention John’s inspiration for the “French stuff”. Ok, you talk about the middle eight. Please quote Paul to verify your claim: Where does he claim that he wrote Michelle alone, including the “I love you” part? Who cares if George Martin `wrote’ the guitar solo. It could have been played many different ways. They way George plays it is perfect: lovely, warm, flowing. (As an opinion only), that guitar solo makes this song along with the harmony. I think it is very important who created it since it is so influential on the song. I always thought it was a bass solo, particular since it was such a Paul song and he was the best musician in the band. Are we sure it’s guitar in like a “cool-jazz” kind of sound, muted treble to get that smooth sound? The soulful part Lennon wrote (“I love you I love you I love you…” etc.) is a HUGE part of this song. Break down the lyrics and find that McCartney’s part consists only of “Michelle, ma belle, these are words that go together well, my Michelle” – which, really, mean nothing. “Michelle” is just as much Lennon’s song. A friend of mine who speaks french said that the “bien” was pronounced in canadian accent french in this song. Is this true? Paul actually pronounces “bien” very well, but not like Canadian French. His anglophone accent certainly plays a part in making it sound different, which is why it doesn’t sound exactly like normative Fench. Often wondered if the solo is actually played on the bass (perhaps with the capo on)? Check the video in the article. As I was younger I thought the two first chords of the melody would be E7 Am, but it’s definitively E7 A7. Isn’t it ? It kind of changes the perception of the tune, which acquires a “bluesy” feel that the arrangement does not suggest. The guitar solo plays a do against the A7, but not in a bluesy way. Anyone is in my tree on that ? This song shows, again how wnderful and deep was the cooperation between Lennon and Mccartney. John made sure that this beautiful song would come to be plus adding the middle eight. One must realize that John and Paul really were partners eaven in the later years. The real magic of the Beatles is this partnership. I agree they worked out ideas with each other more than they would admit in later years. “but it’s definitively E7 A7. ?” maybe not. I’ve always played Am7, taken from several music scores. The ‘C’ note fits in perfectly, both as vocal or guitar solo. bluesy or harsh, besides not fitting the melody. back in the 50s, in Paul’s early years as song writer. Despite all the complimentary comments above, surely this song is one of the Beatles’ cheesiest efforts. It almost ruins one of their best albums. If it’s cheese………It’s a wonderful stilton. Lovely Paul McCartney composition. I love the opening guitar work. Another gem off the brilliant “Rubber Soul” album that was released 50 year’s a go this month. Among the Beatles’ most unique strengths as artists was their musical diversity. This beautiful song, from the same guys who wrote Helter Skelter, or Tomorrow Never Knows versus Here, There and Everywhere. Incredible artistry -and respect for music. The Beatles will always be the definitive band of all time. The fact that we are still discussing their musical diversity is testament to this. Will ‘Take Thatt’ or today’s over-hyped, talent free bands who copy them today be remembered by true music fans? Every band who came after the Beatles are just pretenders to the throne. John Lennon- a flawed and troubled soul, witty, politically outspoken and a warm heart and soul. Paul McCartney- business-like, hard working, one of the most impressive and unique bass players. George Harrison- a fine technician on guitar that even impressed the likes of Eric Clapton et al, witty, down to earth but spiritual. Ringo Starr-despite anyone’s comments regarding his drumming, was actually another fine technician on his instrument (tomorrow never knows is proof of this)! Witty and very affable. The Beatles will forever be seen as the classical music of the 20th century. I’m a fanatic about reading interviews where one of the Beatles reflects upon “who wrote what.” And there are definitely articles out there in which Paul mentions John’s “I love you, I love you, I love you” contribution. Since you are a fanatic, it seems likely that you remember the sources. Please share. They would go a long way towards dispelling some of the “what’s yours is mine” rhetoric. just me but does the opening guitar riff sound a bit like ‘A Taste of Honey’ by Paul Desmond? Wow, I was just listening to A Taste of Honey and didn’t even realize how similar the two openings sound. Had to see if anybody else heard the same thing! Usually McCartney gets the whole credit of a song he didn´t compose alone. When he started to compose the song, he got stuck and went to Lennon and asked, “where do I go from here?” Then Lennon pupped up with “I love you I love you, thats all i want to know…” and so on. McCartney always said that he wrote the song, until he is reminded that Lennon did the middle part. Without that, the song had became without structure and tension. ?